Daily Turismo: Thursday Twister: What Were They Thinking?! Welcome to the Thursday Twister, -- the weekly journey to the center of the earth and back again. This week I want to talk about cars that make you say: Whhhaatt...were they thinking? I'm not talking about custom 8-wheeled monsters built with mig welders and methamphetamines, but factory cars built with gantt charts and market surveys -- yes, we are talking about factory built mistakes. 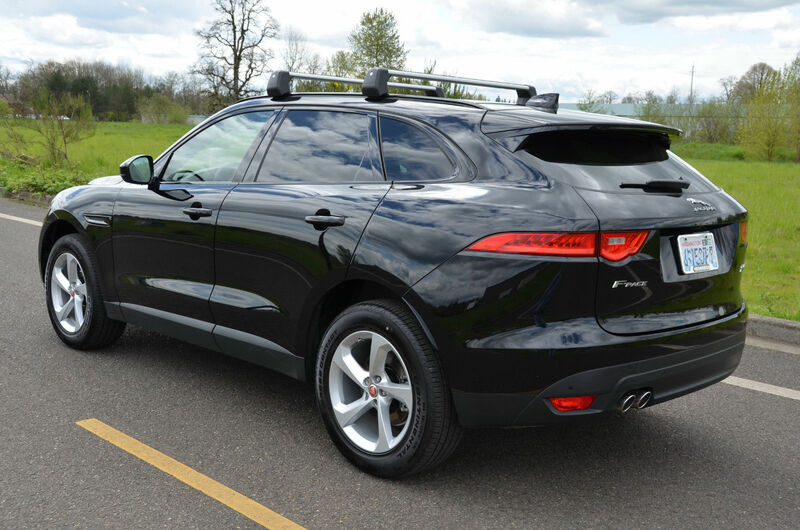 I am going to kick off the party with this 2017 Jaguar F-Pace found here on eBay offered for $38,9999 buy-it-now with only a few miles on the odo. Look, I'm really sorry if you bought one of these things, but I have to say that it is an offense against taste and decency, theology and geometry. Why? Because this car comes from the makers of the E-Type -- probably the most beautiful mass market car to ever hit the road who later built fabulous long wheel base sedans. And it isn't like Jaguar lost their mojo, look at the F-Type the thing is gorgeous...but why did someone have to make a bloated whale carcass version? I don't get it. A colleague has a white F-Pace that doesn't look any worse than other bloated road-tanks out there, but I did look through the interior pics on that auction and Woof! Everyone likes to beat up on the Aztek but they've grown on me for some reason with time. Instead, I'll pick on another Jaguar mistake - the X-Type. Sure, it's easy pickins, but what ill-conceived platform sharing. That was the first one that came to mind when I saw this thread, too. While one could try to borrow Ignatius Reilly's writing style to describe what is wrong with this, I have to wonder if he was the lunatic who wrote the memo justifying its production in the first place. The Acura ZDX is another good "What were they thinking?" car. They built an SUV where the roof line tapered down so aggressively that the back seat in that thing is useless. Perhaps the initials stand for Zero Demand Expected. I thought the same until a buddy of mine bought a 550 GT and let me drive it. The room of a 7 Series and the utility of a hatchback. Weird arrangement with the split tailgate/trunk lid...until you end up seeing how frequently you use it in both modes. It puts the UG in Ugly but was an incredible driver. The Mercedes GLC "Coupe" is equally as nasty as the BMW. The 5er GT, X6, Mbz GLC Coupe all share an awkward Tesla Model X-ish Orthopaedic shoe shape, but that Nissan abomination really takes the cake. It shall henceforth be known as "It that shall not be named". Or if you are a death eater -- the Nissan Voldemort. It's got that stop/start tech where it turns off at stoplights. That's barely acceptable in golf carts. 4-cylinder diesel. What a load. Egads. The ARNA. A joint venture between Alfa Romeo and Nissan in the early 80's. Combined the worst qualities of both parents into one toxic stew. Yeah maybe.but the hood ornament! Hey, leave that little Opel alone! They weren't expecting their pedestrian rickshaw from Russelheim to end up being peddled as the Cadillac that zigs. Someone loaded up a big zig zag before that sales meeting. No no no, that was the Catera. Keep your badge engineered crap straight, Huns! I dunno. Seems like they were just ahead of their time and used the wrong brand. I would have bought one if only they made a faux wood sided version. Just before some companies get it right, they get it terribly wrong.. The Frankenstein nature of the FWD Datsun B-210 is hard to un-see. Don't you be knockin' the Honey Bee! In full agreement, just didn't want the conversation to get out of control. Both ugly and unfunctional, and judging by the away people drive them a blind spot as bad as a prius. The current Lexus Spindle Grill is by far the ugliest appendage on any modern vehicle. Couple that with the going nowhere random body sculpting on several models and you have "What were they thinking?". Yarp. At least I was able to reload and hit escape to stop the fubar and delete the post. It was a nice Predator vs Lexus Grille mashup, but, apparently, it was too ugly even for here. Seems like bad design is endemic within the Toyota empire. The new Camry's front end looks like a baleen whale on the hunt for krill, and all of their mom trucks have angry kitchen appliance front ends. Honda and Toyota both are off the design rails. I am seeing two upcoming TT - what is the current best looking mass produced car / reasonable family daily driver and what is the best looking current car period. Remember when Acura let Batman's 8 year old son design their SUVs? That was great!! The F-Type is sold out for 6 months. In person it's a very good looking vehicle, rides well, handles great, and the SC version is quick, all at a great price point. If selling these a la Porsche keeps the F-Type screaming around tracks, I'm all for it. And no, I don't own an SUV. My DD is an Abarth. Yeah, OK, so I broke the rules...a real car. But not a production car. Did not call doctor after four hours. Allergic reaction to Zach's Honey Bee? The "what was in that dip?"